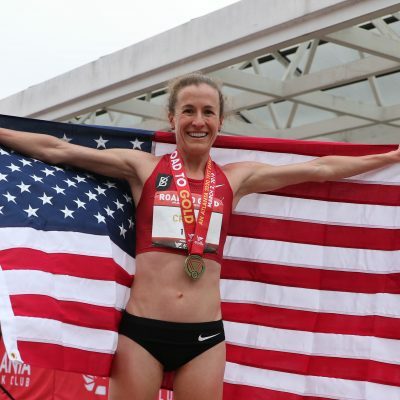 The New York Road Runners are calling this year’s field the best in the event’s history, and the domestic contingent is also very strong as Molly Huddle, Amy Cragg, Desi Linden, Diego Estrada, Meb Keflezighi, Jared Ward and Chris Derrick are all entered. We break down the men’s race for you below. Our women’s preview is here: 2017 NYC Half Women’s Preview: Molly Huddle Goes for the Three-Peat (and the American Record?) Against Amy Cragg & Desi. On paper, Lilesa, now based in Flagstaff (for more on his situation, check out this excellent piece in the New York Times) and prepping for the London Marathon, has the fastest PR by some margin; he’s run 59:22 and no one else has even broken one hour. 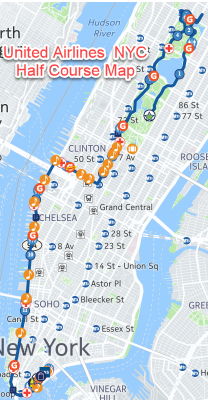 But given the chilly forecast and the fact that no one has run faster than 60:50 in New York since it became record-eligible in 2012, we expect the winning time to be in the 60:50 to 61:16 range, as it has in each of the past four years. 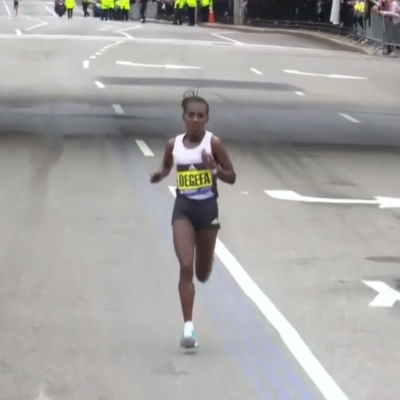 There are several guys in this field capable of running that, and while Lilesa is one of them, he was outkicked at the Houston Half Marathon in January by Leonard Korir, as both men were clocked at 61:14. In that respect, Lilesa has something in common with Callum Hawkins, who almost had Korir beat at the Great Edinburgh XCountry the previous week before succumbing to his kick in the final meters. Hawkins bounced back well from that, however, as he ran a PR and British record of 60:00 to win the Marugame Half Marathon in Japan on February 5. We’d add one more name to the top tier of contenders: Stephen Sambu, the defending champion. Sambu ran 61:16 to win here last year and he’s coming off a solid run at the World’s Best 10K in Puerto Rico, clocking 28:34 for third on February 26. Sambu is always a threat on the roads and like the other two, he’s been a victim of Korir’s kick as Korir outsprinted him to win this very race two years ago. Fortunately for the field, Korir is skipping out on the 2017 edition to prep for next week’s World Cross Country Championships in Uganda. 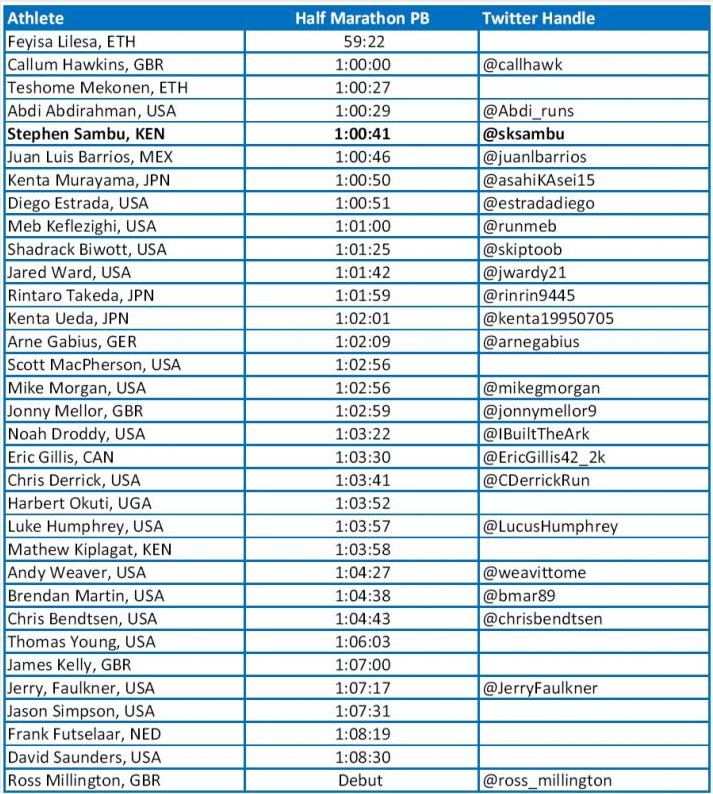 Ethiopian Teshome Mekonen (11th at World Half Champs last year) and Mexico’s Juan Luis Barrios (who has finished in the top five here four straight years) are other international men to watch, but we expect one out of Lilesa, Hawkins or Sambu to take the title. The battle for top American honors is fairly open.We’ll start with two guys we don’t think will win top American honors. 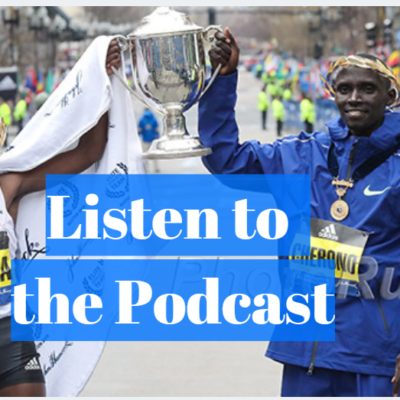 Abdi Abdirahman (40) and Meb Keflezighi (41) have accomplished a ton during their careers but considering their age, we don’t think either will be the first American finisher. 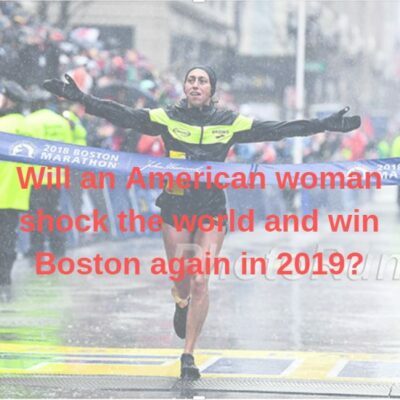 At this point in their careers, we don’t expect them to blast a fast time on Sunday — Meb, who ran 63:30 in Tampa on February 26, hasn’t broken 62:00 since January 2014 and Abdi hasn’t done it since October 2008 — but they know how to get their bodies ready to go for the big ones. Meb ran in the 62:00s when he ran here before Boston in 2014 and 2015, and as you recall, the 2014 Boston Marathon worked out quite well for him. If he and Abdi can run in that ballpark on Sunday, they should be happy as they’ll be on track for a good showing at the Boston Marathon. Shadrack Biwott is a guy who has a shot at top American honors. 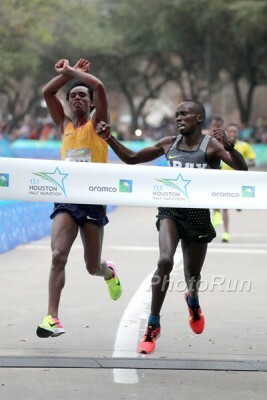 He is coming off the best year of his career (7th Olympic Trials marathon, 5th NYC Marathon) and he ran 62:30 in Houston and 61:55 in San Jose in 2016 and he’ll look to carry that form over to Boston next month and a strong run in New York would certainly help.. Of course, Abdi (3rd NYC) and Meb (2nd Olympic Trials) both beat Biwott last year. 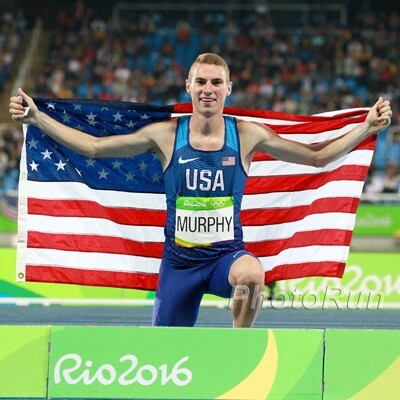 UPDATE: We forgot to mention 2016 Olympic marathon sixth-placer Jared Ward, who is definitely a threat to be among the top Americans. Ward hasn’t raced since October, though, so we’re not sure what kind of shape he’s in. In the end, we think it’s mot likely that the top American is either Diego Estrada or Chris Derrick. 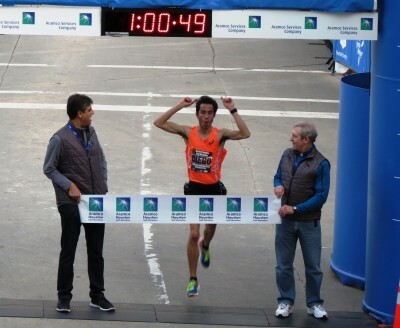 Estrada was the U.S. half marathon champ in 2015 thanks to his 60:50 in Houston and is the top American returner in New York (5th in 62:15). He hasn’t raced since taking eighth in the Chicago Marathon in October, but has a better pb than Derrick at both 10,000 (27:30 vs 27:31) and the half (60:51 vs 63:41). But Derrick has only raced one half marathon in his life (63:41 last year in Jacksonville), and since he’s a guy who’s excelled in the 10k/cross country, he projects as a pretty good half marathoner. 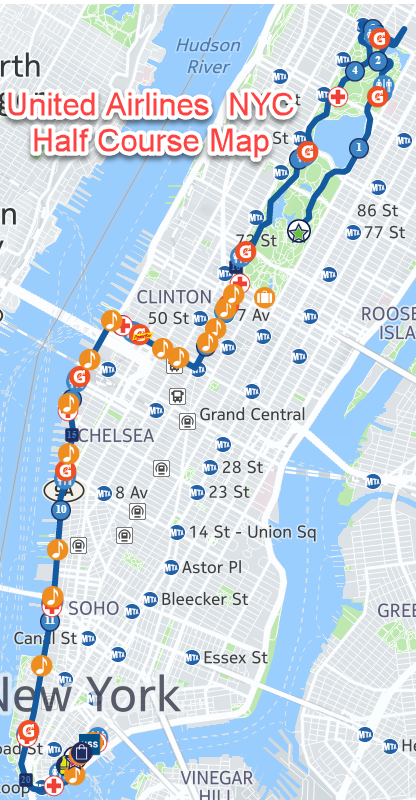 That 63:41 isn’t a good gauge of Derrick’s potential given that he was rebounding from an Achilles injury in 2015 and on the verge of another setback (hip and shin) that would cause him to scrap plans to run the Olympic Marathon Trials a month later. 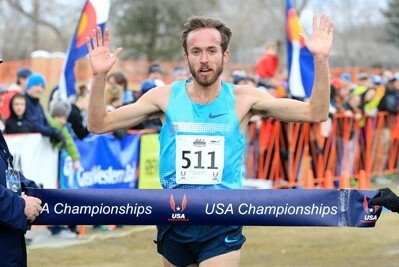 With a fall and winter of solid training under his belt, Derrick is a lot fitter than he was a year ago — he ran 27:38 on the track in November and followed it up by taking 5th at USA XC and running 13:19 for 5,000 on February 26. 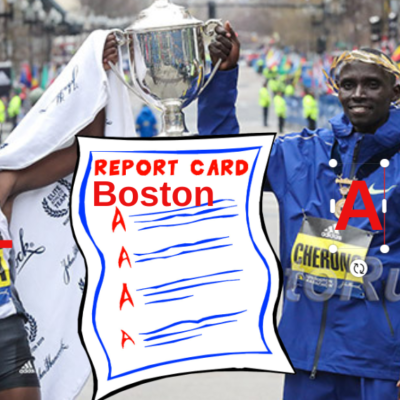 Since we know he’s in good fitness based on those recent race results, he might be the safest pick for top American honors. Depending on the weather, we still may not get an accurate read on what Derrick can run for an all-out half, but he’s certianly capable of mixing it up with the top Americans here. Could it be the shoes? The internet went mad for a few days last week when Nike revealed the Zoom Vaporfly Elite, which Eliud Kipchoge, Lelisa Desisa and Zersenay Tadese will use in their sub-2:00 marathon attempt this spring. Beyond that, we also learned about the Zoom Vaporfly 4%, which was used by Kipchoge, Lilesa and Galen Rupp in Rio last summer, among others. Derrick has run workouts in that shoe as well, and will race in it this weekend in New York. Nike claims that the shoe “makes runners 4% more efficient compared to Nike’s previous fastest marathon shoe,”returning more energy with each stride than its predecessors. So far, Derrick has been impressed. Amy Cragg, who won the Olympic Trials marathon while wearing the shoes last year, also raved about them. The insertion of a carbon fiber plate between two layers of foam has led to questions about whether the shoes are legal for competition. Per IAAF Rule 143, shoes “must not be constructed so as to give an athlete any unfair additional assistance, including by the incorporation of any technology which will give the wearer any unfair advantage.” Critics have argued that the curved, spoon-like carbon fiber plate could be construed as a spring (remember back in 2008 Spira claimed their spring shoes were banned by USATF), which could qualify as “unfair additional assistance.” Nike says it does not think the shoes are illegal, and Derrick agrees. LRC prediction: We’ll take Lilesa for the win here but expect a good three-way battle between Lilesa, Hawkins and Sambu. As for the top American, we guess we’ll go with Derrick but wouldn’t be surprised if it’s Estrada. We just know little about his fitness. Who will win the men's race at the 2017 NYC Half?